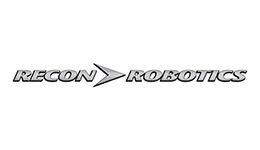 ReconRobotics is the world leader in tactical, micro-robot systems. Worldwide, more than 5,000 of the company’s Recon Scout® and Throwbot® systems have been deployed by the U.S. military and international friendly forces, and by 900 federal, state and local law enforcement agencies. These microrobots protect the lives of law enforcement personnel and warfighters by providing immediate situational awareness and greater standoff distance during high-risk operations.